Grandma's birthday approaches. Beverly is organizing the perfect dinner, but everything seems doomed to go awry--the silverware is all wrong, the radio is on the fritz, and the rest of the family can't be bothered to lift a hand to help. And yet, what appears at first to be a standard family dramedy takes a sharp, sly turn into a startling examination of deep-seated paradigms about race in America. Jackie Sibblies Drury is a Brooklyn based playwright. Her plays include We Are Proud to Present a Presentation About the Herero of Namibia, Formerly Known as South West Africa, From the German Sudwestafrika, Between the Years 1884-1915, Really, and Social Creatures. 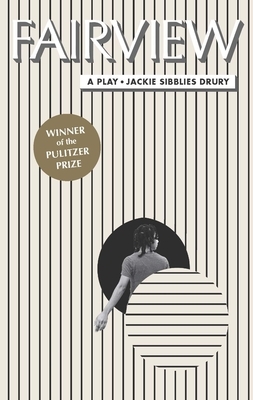 Jackie's plays have been presented by New York City Players and Abrons Arts Center, Soho Rep, Victory Gardens, Trinity Rep, Matrix Theatre, Woolly Mammoth, Undermain Theatre, InterAct Theatre, Actors Theatre of Louisville, Available Light, Company One, and The Bush Theatre in London, among others. Her work has been developed at Sundance, The Ground Floor at Berkeley Rep, Manhattan Theatre Club, Ars Nova, A.C.T., The Soho Rep Writer/Director Lab, New York Theatre Workshop, PRELUDE.11&14, The Civilians, The Bushwick Starr, The LARK, The Magic Theatre, The Bay Area Playwrights Festival and The MacDowell Colony. Jackie was a dramaturg for Futurity by Cesar Alvarez and The Lisps, Zero Cost House by Pig Iron Theatre Company & Toshiki Okada and The Garden by Nichole Canuso Dance Company. She received a 2015 Windham-Campbell Literary Prize in Drama, a 2012-2013 Van Lier Fellowship at New Dramatists, and was the inaugural recipient of the 2012-2014 Jerome Fellowship at The LARK. Jackie is a NYTW Usual Suspect and a 2015 United States Artists Gracie Fellow. Drury has taught at Fordham University, The University of Rochester, and currently teaches at the Yale School of Drama.